Sounds awful coming from me but trust me, it’s not the kind of ‘manhole’ you’re thinking of. 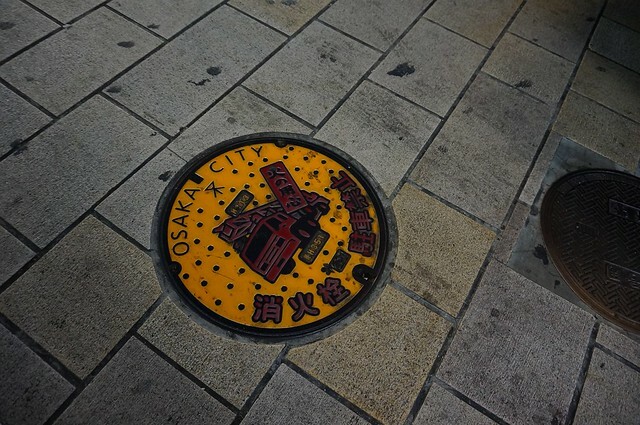 I’m referring to the awesome manholes you’ll cross while walking around towns and cities in Japan. It’s such a delight seeing these manholes because honestly, who would think of manholes as a part of a cityscape, let alone have the potential to bear a city’s identity? Certainly not in Manila. Definitely in Japan. Anyway, here’s a rundown of some of the lovely manholes I’ve crossed during my trips! I’ve been here in Australia for a while and I am fortunate to live in an area that has good ambience. I’ve got a garden for a neighbor and a bus away is the coast. That said, I don’t really get to go out a lot. PhD life is quite busy. Very busy, in fact. So I’m really fortunate when friends invite me to go out. This time, I head way up north to Leura for a weekend. Posing on a boat, like a boss. In this day and age, camwhoring is second nature to kids. They either grab their phones or SLRs and start taking pictures of themselves. I still remembered the time when film was used for the camera and for memories of some fun times, my friends and I would go to a photo studio and have our pictures taken. Wallets used to have sleeves for photographs and my friends and I would make a collection of our adventures in the mall. Back further in the day, we also had something like that. But they were a little more creative and took their subjects into a different world. Beyond formal clothes, photos taken in photo studios during the American period can also mean dressing up as an igorot or a geisha. Better yet, you and your friends can ride on a paper boat and sail down the river whilst holding your diploma. These photos posted by Ambeth Ocampo has been forever ingrained into my mind on how creative and silly we can get just for that one shot. I bet the guys who took this photo on a boat were totally serious about it (look at their faces!) but more than that, I bet this unique photo was definitely something they will remember. I heard in Dr. Ocampo’s lecture that even Leonor Rivera, one of Rizal’s loves, also had her photo on a boat. Personally I find the idea hilarious and I am serious that when I get married, my photobooth will have this paper boat in commemoration of these brave men who courageously posed for this dramatic memory of yore! When in Frankfurt, don’t mess with Frau Rauscher. Found in the bar district of Frankfurt, Sachsenhausen, this old lady will spit out at random pedestrians! Does she care? When I passed in front of her during my visit in Frankfurt, she honestly didn’t give a damn! Anybody can be victim to her antics but is there a story behind Frau Rauscher? Apparently, Frau Rauscher was based in a 19th century story about an old lady who was down on the street, nursing a lump on her head. Some bystanders bullied her until the police came and took her out of the streets. The story goes that they didn’t know if she had a lump due to her husband or because she was too drunk from drinking cider. Granted that she was found in this biergarten district, I think I won’t be dumb to assume that Frau Rauscher had a too much fun with a bit of cider. Perhaps she may have needed an online law degree to get her out of this mess, but instead she was immortalized in 1929 with a song. She may have been built in 1963 but she’s a constant reminder of how uncontrollable we can get if we hung around the beer gardens. She’s probably the safest example of what inebriation can do to history.